At Southern Westchester Orthopedics & Sports Medicine, we use the latest, cutting-edge technology for joint replacements to provide our patients with the best possible results. Mako Robotic-Arm Assisted Technology has produced excellent results for our joint replacement patients, both in the immediate recovery period and long-term. Because the results have been so positive, our surgeons use Mako technology for all total hip, total knee, and partial knee replacement procedures. 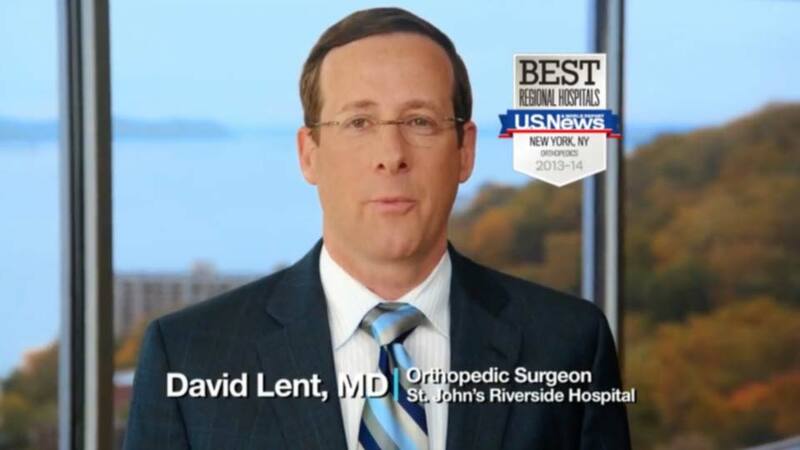 Our surgeons, Dr. David Lent and Dr. Eric Spencer, were the first surgeons in Westchester County to perform robotic-assisted joint replacements and are the leaders in robotic-assisted joint replacement in the Tri-State area. They have the most experience with Mako technology in all of Westchester county and surrounding regions outside of Manhattan, and recently completed their 1,000th Mako robotic-assisted joint replacement. Dr. Lent is also an instructor on Mako technology, teaching other surgeons how to use the technology for joint replacements. Dr. Lent and Dr. Spencer have consistently been recognized as Top Doctors by Castle Connolly and Westchester Magazine. They, along with our trained office staff, are here to answer any questions you may have about Mako hip or knee replacement. 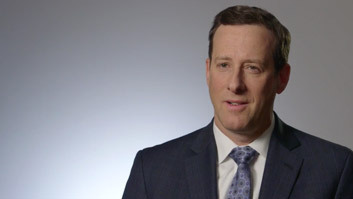 What are the benefits of Mako technology for hip & knee replacements? Mako is at the cutting edge of technology for surgical orthopedics. The Mako software allows our surgeons to create a 3D virtual model of your hip or knee, which is then used to plan your joint replacement surgery. The Mako system allows your surgeon to make adjustments during the procedure and gives real-time feedback. This allows for greater precision during surgery. It is also a minimally invasive procedure. For these reasons, Dr. Lent and Dr. Spencer use Mako technology for all total hip replacements, total knee replacements, and partial knee replacements. What happens during a Mako joint replacement procedure? Using a CT scan of your hip or knee, your surgeon will create a 3D virtual model of the joint that is unique to your anatomy. He will then use the Mako system software to create a plan for your surgery. During the procedure, your surgeon will guide the Mako robotic-arm to prepare your hip or knee for the implant, using the predefined plan. It is important to note that while the robotic arm assists your surgeon in performing the procedure, your surgeon is in complete control. The robot cannot go outside of the predefined boundaries set by your surgeon. If needed, your surgeon can make adjustments to the plan during surgery, and the Mako software will give him real-time feedback. This technology allows for more accurate implant placement and less damage to the soft tissues surrounding the joint. The procedure typically takes about an hour to complete. Because Mako hip and knee replacements are minimally invasive, they typically result in less pain than traditional knee replacements. In fact, in many cases Mako joint replacements can be completed without general anesthesia, which also helps patients recover more quickly. Mako hip and knee replacements result in much less postoperative pain and fewer complications than traditional joint replacements, so recovery is typically faster. Patients can usually begin walking the day of surgery, which is very beneficial in regaining range of motion. Approximately 90% of patients are able to return home the day after surgery. During the recovery period, patients participate in physical therapy to help strengthen the joint and improve range of motion. Most patients are able to utilize outpatient rehab services for physical therapy, and will not need inpatient rehab. On average, patients are able to resume most of their usual activities within 6 weeks of surgery. Dr. Lent and Dr. Spencer will discuss any specific restrictions or considerations with you after surgery. If you have any questions throughout your surgery or recovery process, our surgeons are happy to discuss them with you. Dr. Lent and Dr. Spencer are highly experienced in Mako robotic-assisted surgery for total hip replacements, total knee replacements, and partial knee replacements, and are consistently chosen as Top Doctors in Westchester County. If you think Mako joint replacement may be right for you, please call our office at (914) 476-4343 or submit an appointment request. We look forward to helping you improve your mobility and are happy to answer any questions you may have.